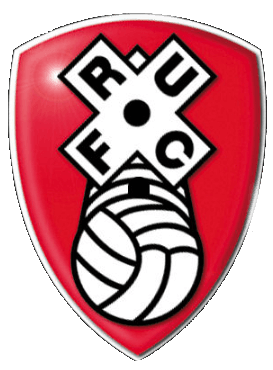 Rotherham United F.C was founded in 1925 when the two clubs Rotherham Town and Rotherham County were merged into one. They are currently competing in the Championship, the second tier in the English Football league system. Rotherham joined the football league in 1925 and first 25 years they spent in lowest level, the Division Three North where they were champions in 1951. They were in the Division Two until 1968 but then experienced a fall to the Division Four in 1973. They managed to come back to Division Three in 1975 finishing the third in the Division Four, and then won the Division Three title in 1981 which was their highest until then. During 1990s they were being promoted and relegated between the two lowest division and ended up in the Fourth Division again in 1991. They strived their way back to Division Three in 1992 and remained there for five years. In 1996 they won the Football League Trophy beating Shrewsbury 2-1. They gained their second successive promotion by finishing runners-up in the Second Division. They remained in the Division One for four season making their biggest achievements in 2002-03 season. They finished the third season in 17th place, and in their fourth season, 2004-05 they were mostly at the bottom of the table. Rotherham were relegated to League One in 2005 and they managed to stay there for two seasons. None of the two managers at that time, Mick Harford and Alan Knill could keep the team safe from relegation. In 2007, Mark Robinson took over and the majority of the 2007-2008 season Rotherham spent in the automatic promotion places. By the 2008-09 season the club managed to recover and to relocate from the Millmoor, their home over 100 years to Don Valley Stadium. This season was a successful one, since they were involved in two cup runs, reaching the Football League Trophy Northern Final and the League Cup, and managed to beat Wolverhampton Wanderers, Southampton, Sheffield Wednesday, Leicester City and Leeds United. The 2009-10 was starting off until Mark Robinson left the club to take over Barnsley. Rotherham was promoted into Championship in 2014 after they have been absent for 9 years. The 2014-15 season was poor just like the beginning of 2015-16. However, the team experienced a turnaround in the second half of the season and managed to finish in 21s place with 49 points.